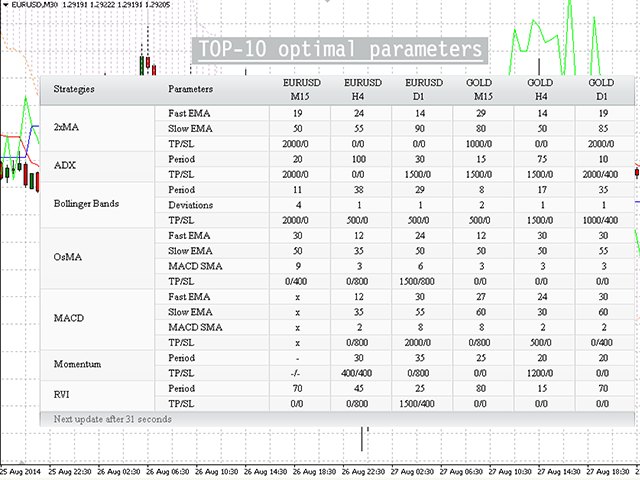 TOP 10 indicators parameters is an Expert Advisor that displays optimal parameters for basic MetaTrader 4 terminal indicators. For example, the table allows you to know the current best period for using Bollinger Bands indicator on GBPUSD M30, as well as the most efficient SL and TP levels. 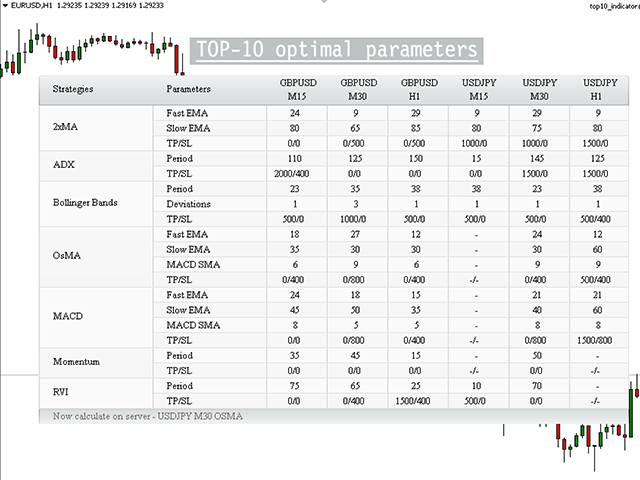 All parameters are displayed in the table placed on top of the current chart. 280 various combinations are available in total! The parameters are calculated using the current data and updated 1-2 times a week. The Expert Advisor automatically downloads new data from the server. 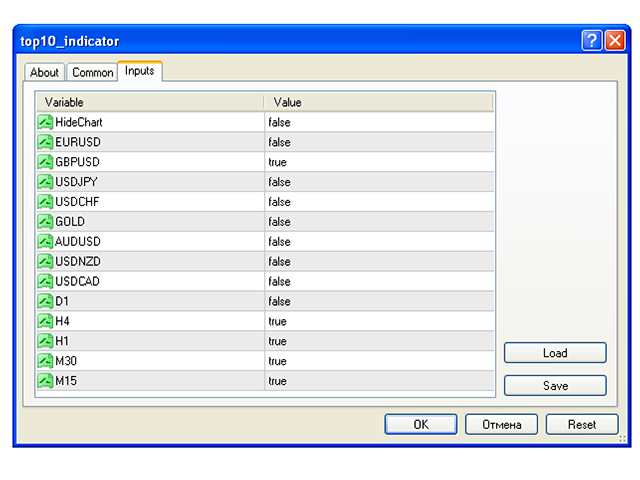 Access to https://top10.likho.ru/top10/ web address should be allowed in MetaTrader 4 settings.